Fragrant and packed with a hint of spiciness, this chicken recipe will satisfy on a cool evening. Serve over jasmine or Basmati rice and garnish with plain, nonfat yogurt or chutney. Spice paste: To toast coconut, place coconut flakes in a skillet over medium heat and stir until golden on the edges. Combine coconut and all other ingredients in a blender or food processor. Add 4-5 T. of water and blend until a smooth paste forms. Set aside. Chicken: Saute garlic, ginger root, onion and bell pepper in oil over medium heat until tender. Add spice paste, chicken, salt, vinegar and water. Bring chicken mixture to boil over medium high heat. Cover and reduce heat to medium low. Cook for 45 minutes until chicken is tender. Stir occasionally and add more water if necessary to keep it from sticking. Serves 4-6. I read an article in the New York Times this past week that said Britons were troubled about a shortage of good curry chefs due to immigration restrictions (not against chefs, just limits on immigrants from India, Pakistan and Bangladesh). Some British citizens feel that their national dish is not fish and chips with mushy peas, but rather a British colonial adaptation of chicken tikka masala – chunks of chicken in yogurt and spicy tomato paste. Nearly every village in the UK has at least one “curry house” so a shortage of chefs is perceived as a culinary crisis. In fact, curry is so important to the British that the UK celebrates National Curry Week each year, and it has its own committee in Parliament (the All Party Parliamentary Group of the Curry Catering Industry). What is curry, really? The British use the term “curry” to refer to all Indian food. Most people think of curry as a particular spice, but it is actually a spice blend. 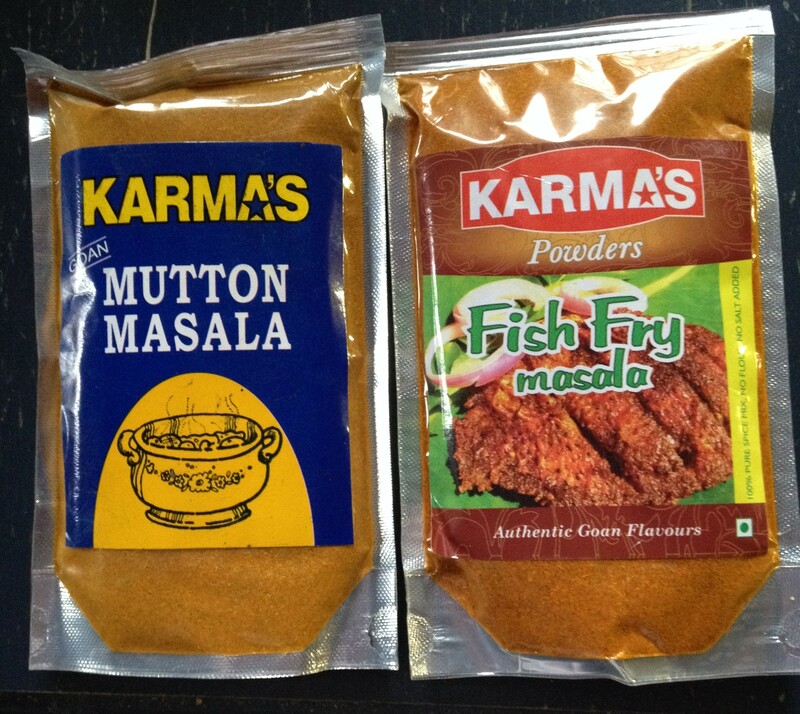 In the mid-1600s members of the British East India Company were trading with Kari (Indian) merchants along the southern Indian coast and were introduced to a spice blend used for making “kari” dishes called kari podi, or curry powder. Its primary ingredients were coriander, cumin and turmeric, which imparted a rich, golden color. Recent research by anthropologists indicates that this distinctive spice blend has actually been around for 4,500 years. Scientists have found traces of cooked ginger and turmeric (which remain in use in curries such as lamb vindaloo today) in starch grains in human teeth and in a cooking pot found in the Indus Valley, home to one of the world’s first urban civilizations – along with those in Egypt and Mesopotamia – that extends across modern Pakistan and parts of India. In Western cuisine, the curry powder we buy in the grocery store usually includes turmeric, chili, mustard, salt, pepper, fenugreek, cumin and coriander. Our son, Brian, spent a year working in Mumbai and had an opportunity to explore Indian cuisine. He told me that “curry powder” doesn’t exist. Instead, the Indians have masala, which is a generic term used to describe any blend of spices in Indian cooking. Recipes vary by locale and from cook to cook. Some recipes are passed down from families, generation to generation. Masala can include up to 20 or more different spices and can be red, yellow, or brown. 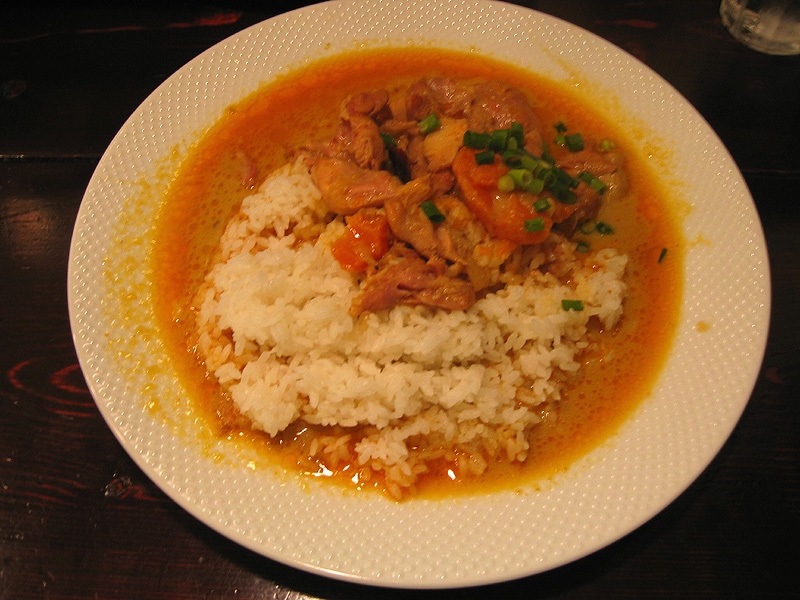 “Curry” refers to the dish that you make with masala. Curries may contain fish, meat, poultry, or shellfish, and sometimes are completely vegetarian, like ones made with only lentils or cauliflower. During the 19th century, curry was also carried to the Caribbean by Indian indentured workers in the British sugar industry. Since the mid-20th century, various types of curried dishes have appeared everywhere in global cuisine – from India and throughout Asia to North America, the Caribbean, Europe and Africa. Among the health benefits of curry is reducing inflammation of the joints. In fact, recent research shows that turmeric helped to prevent the swelling of joints in rats that had arthritis. And it’s not only arthritis that it may be helpful for. Other studies suggest that this powerful spice may also help protect us against cancer, heart disease and even Alzheimer’s disease. In reference to Alzheimer’s. one test tube study showed that curcumin, a natural phenol responsibility for the yellow color in turmeric, may help clear the brain of protein deposits thought to cause Alzheimer’s. Another study of older men in Singapore found that those who ate a lot of curry performed better in memory tests. At one of the world’s most renowned cancer centers, MD Anderson Center in Texas, animal studies have shown that curcumin seems to turn off genes that can trigger the onset and spread of breast cancer. In a human study, curcumin shows some promise, in a handful of patients, in stabilizing pancreatic cancer. As of June, 2015 the US National Institutes of Health register of clinical trials shows 116 clinical trials on humans evaluating the possible anti-disease effect of curcumin in treating cancer, gastrointestinal disease, cognitive disorders, and psychiatric conditions. 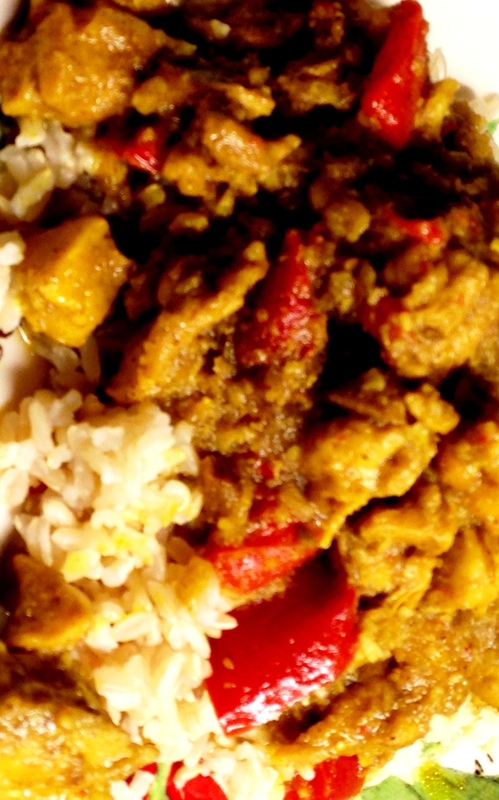 Spicy and filling, this chicken curry is great on a cold winter day! Saute garlic, ginger and bell pepper in olive oil in large skillet over medium-high heat until softened. Add 1/4 cup coconut milk, curry paste and curry powder and bring to boil, whisking constantly. Stir in chicken, remaining coconut milk, sugar and fish sauce. Cook about 7 minutes or until chicken is cooked through, stirring often. Season with salt. Serve over hot rice. Garnish with scallions and cilantro. Serves 4-6. In a small bowl, combine mayonnaise, milk, raisins, sugar, curry powder, lemon juice, vinegar, and cocktail sauce and blend well. Chill. Peel or shell seafood and steam. Cut lobster into bite-sized pieces. When ready to serve, toss dressing with romaine and seafood. Hint: Giant scallop shells are ideal serving bowls for this salad! A friend once told me that you were prepared for a snowstorm and winter in general in you had enough firewood and wine! I would like to add soup to warm your body and soul as well. Here is the first of two great soup recipes. Melt butter in large saucepan. Add mushrooms & onions and cook until tender, stirring often. Stir in flour & curry powder. Gradually add chicken broth and cook over medium heat, stirring constantly until thickened. Stir in pumpkin & next 4 ingredients. Reduce heat & simmer 10 minutes. Stir occasionally. Stir in milk & heat through. Garnish with sour cream, chopped fresh chives or toasted coconut (toast coconut in low oven – about 325 degrees – for 5-10 mins) Makes 6-1 cup servings.